There are lots of jobs to fill; not enough candidates, and many are poorly qualified; arcane laws around hiring; and fierce competition for talent. Sound familiar? You could be a recruiter for the Roman army in the 4th century B.C. In the collections of the British Museum, there is a decree signed by Julius Caesar in 55 B.C., promising a reward of 300 sestertii to any soldier who brought another to join the Roman army. This is the first known example of an employee-referral program. And, it’s a generous one at that: The amount represented a third of a soldier’s annual pay. It reflected how serious the Romans were about finding soldiers. They had the first known recruiters and faced many of the same challenges we have today. Keeping this huge organisation staffed up was no small task, since wars were common, turnover was high, and there was a constant need for soldiers and other personnel. In addition to soldiers, the army needed engineers, medical staff, surveyors, carpenters, veterinaries, hunters, and armorers, even soothsayers. As a consequence, the Romans created many of the practices we have today to get the best talent. Finding soldiers was no easy task, as the Romans had high standards, were saddled with many arcane requirements in hiring, and had plenty of competition for talent. Anyone joining the army had to be a Roman citizen; capable of marching 18 miles while wearing the full uniform, armor, and weapons; and carry 60 pounds of supplies. Despite good pay and bonuses, the somewhat hazardous work environment meant that people did not flock to the army. So, recruiters traveled the length and breadth of the Empire to find suitable candidates. But laws imposed by the Roman Senate made this task more complicated. A citizen could not just be hired into any position. Roman society was divided into five classes that determined where one could work in the army. The most wealthy, the first class, were the most heavily armed and were equipped with helmets and armor. They carried spears and swords. The lower classes bore lesser armament and weaponry; the fifth class carried no armor at all and was solely armed with slings. Needless to say, they didn’t see much action and their accomplishments were not the stuff of legends. They did perform the vital service of digging latrines, but that didn’t usually lead to being covered in glory. Something else maybe, but definitely not glory. Following some major defeats to the Gauls (the only known record of the French winning a war unaided, and then they were fighting Italians) and increasing competition for employees as more of the upper classes preferred to work in business or other occupations, the Romans abandoned the class structure for recruitment. Soldiers could be any citizens who were fit and willing to fight. There were also special inducements for experienced soldiers, i.e., veterans. But this was not enough to meet the needs of the army. Facing difficulties in their wars against enemies like Carthage, the Romans started accepting non-citizens into the army. Since the original purpose of this was to get soldiers for the first war against Hannibal the Barbarian, it became known as the H1-B program. Legions had to demonstrate that candidates met the requirements of being a soldier, were paid the prevailing wage, and no Roman citizens were available to serve. Most who survived the campaign against Hannibal stayed on to become citizens after completing a course in Latin. Since the work had the potential to lower an individual’s life expectancy or quality of life (losing one or more limbs was a common occurrence), pay had to be good to attract the best candidates. Soldiers earned 10-12 pieces of gold per year. Benefits of working for the army included substantial grants of cash or land upon discharge, worth as much as 200 pieces of gold, which was a really good deal and represented 15 years of pay for soldiers who, on average, served about 20. The Romans certainly knew the value of deferred compensation. Many soldiers also received sign-on bonuses of a few pieces of gold and also a share of the loot from any successful campaign. Even failed campaigns were rewarded. Caligula, after his abortive invasion of Britain, gave all legionaries four gold pieces as a retention bonus. Money and rewards were not enough to get people to join up. So, the army aggressively promoted its symbols, in particular a golden eagle above the letters SPQR, the abbreviation for “the Senate and the Roman People,” signifying that soldiers served these two groups. The Roman army’s symbols were held in awe and represented Roman honor, the recovery of which the Empire itself would go to war for (or so it was claimed). As part of joining the army, a soldier “received the mark,” most likely by tattooing (a benefit available to employees of Nike and Harley-Davidson today). This supposedly meant that a soldier had become part of an elite group. A secondary, though not minor, benefit was that it prevented desertions since deserters could be easily identified. It was not always possible to obtain the required skills from available candidates or from within the circle of accepted allies, and so the Romans found it necessary to hire mercenaries. Germans, Arabs, Armenians, Persians, and Moors were all hired to help with campaigns to the point at which they often exceeded the Roman legions. All the non-Roman forces, whatever their status, became known as auxilia, or aids to citizen legionaries. They were only supposed to be used to bolster the regular army for short-term needs, but as Rome extended her influence over more and more countries and was perpetually at war, these auxilia in effect became regular soldiers. Rome found itself making demands on its forces and called an increasing number of different kinds of auxilia into her armies. One reward for being an auxiliary was Roman citizenship. Then, like now, there was not a standardized approach and not every group or tribe was treated alike. For a long time, all hiring for the army was directed from Rome at the direction of the Consul or leader of the Senate. Provincial governors and commanders in the field had no authority to recruit anyone. That changed around 50 B.C., when they were allowed to hire locally. Giving the “hiring managers” the authority to pick their own employees made recruitment faster and more efficient, and also made them more responsible for their own successes or failures. Loyalty of the soldiery was transferred from Rome itself to its commanders, the men who could provide them with the loot. This made the army more effective, since the soldiers had been chosen for the tasks their commanders were entrusted with and without regard to consideration for rules imposed by bureaucrats in Rome. Two thousand years later, how little things have changed. We’re still dealing with the same problems in more or less the same way. There are lessons here. The most significant is that recruitment practices were developed and changed to meet the Empire’s needs for human capital. How little of our own laws support that. They are rooted in conditions and practices that, while not entirely having disappeared, are no longer as relevant today as they were when those laws were enacted. Successful recruitment is a complex task. It requires knowledge of sources, creativity, and a willingness to make the changes necessary. How many organizations saddle their recruiters with requirements that have little to do with the companies’ purposes and goals? Hiring managers in the field are often supported by a recruitment team in a distant corporate office that has little appreciation of the conditions they face. Employee-referral bonuses are miserly and are doled out with all sorts of preconditions. The biggest changes we have seen in recruitment have been in technology, but not fundamentally in how we recruit. Yet, for all the innovations in Applicant Tracking Systems, job boards, etc., we’re no better off than Caesar was in 50 B.C. Those who fail to learn the lessons of history are condemned to repeat them. This article by Raghav Singh originally appeared on ere.net on 25 January 2008. Very nice article except for the fact that it is fiction rather than the actual history. Persians for instance were fighting the Romans rather than helping them with their campaigns. Are you in the recruitment or management industry? latest news, trends and opinions. Success! Now check your email to confirm your subscription to the Insight Newsletter and collect your free Succeed Quickly or Fail Slowly eBook. Onploy: Do Seek want to have their cake and eat it too (again)? Ross is a high performance recruitment coach and recruitment industry blogger and commentator. 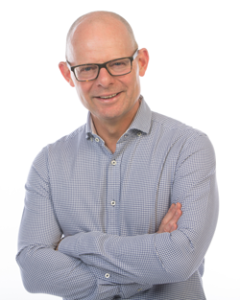 Since 2003 Ross has run his own business, providing a range of services to the recruitment industry in Australia and New Zealand.
" Ross worked for me over many years in an environment that demanded the best and stretched people to the utmost –and he excelled during that time. Many people, at all levels in our industry, could learn from Ross Clennett. " © 2018 Ross Clennett: High Performance Recruitment Coach. All Rights Reserved. Designed & Managed by Unbranded Digital.